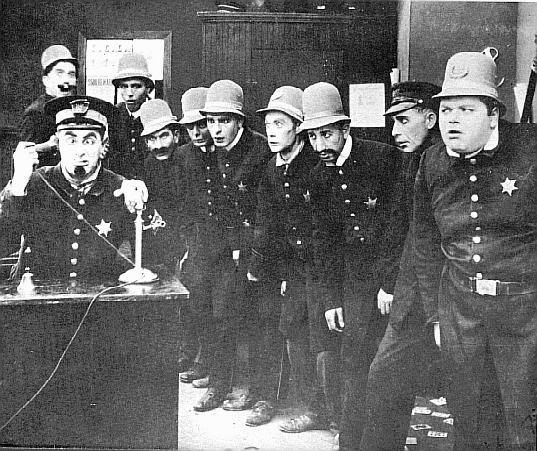 Keystone Cops Question Everyone Who Requested Info from CRU! He doesn't believe in Global Warming? Arrest that man! This article from Telegraph.co.uk describes what sounds like an amazing piece of police work if I ever heard of one. In the continuing quest to find out who hacked, stole or leaked the infamous e-mails from the University of East Anglia Climatic Research Unit that started “Climategate,” the police are now on what appears to be a “witch-hunt” and are running around questioning everyone who ever requested any information from them. Already prominent climate change sceptics around the world have been questioned and members of staff at the university, but is has now emerged that ordinary members of the public who did nothing more than request information are also being targeted. Sebastian Nokes, a businessman and climate change sceptic, wrote to a national newspaper to complain. He said all he had done was request information on the CRU’s disclosure rules and he was questioned on his political and scientific beliefs. Detective Superintendent Julian Gregory, who is leading the investigation, said his unit is looking into anyone who could give clues to who stole the emails and working with experts in “extremism”. “As with any investigation we will interview anyone who may have information which is of relevance to the enquiry,” he said. I suppose this will end up being a gigantic waste of tax-dollars. I’m sure they’ll someday show up at the right person’s front door and get an immediate confession. They probably have a better chance of finding a Purple People Eater. Comments Off on Keystone Cops Question Everyone Who Requested Info from CRU!